Moorcroft Blue Doves 41/4 Discounts Apply ! Limited Edition:- of 150 pieces worldwide. 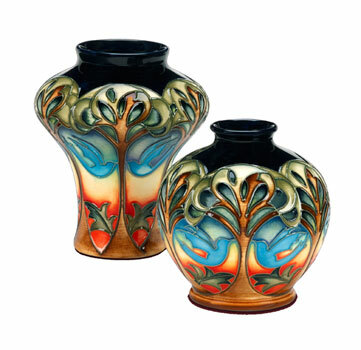 This collection brought together by kerry Goodwin, is her unique way of saying thank you for the 10 years she has had at moorcroft . Eventide House and Gardens has been captured and constructed with arts and crafts detail and styling and with the use of carefully chosen arts and crafts shapes for the collection.